Providing you the best range of black slate quartzite tiles, indian autumn slate stone tiles, golden slate tile, deoli green slate tile, multi pink slate tile and silver shine slate stone tiles with effective & timely delivery. It is also known as Black Slate Quartzite Tiles is a hard slate stone which is resistant to stain & crack and also resistant to chemical weathering. It is mostly used as roofing slates in India sa well as in most of the european & south east countries. It is also used in applications like Paving, Patios, Wall Cladding in various forms like Tiles, Ledgestones, Strips, etc. Other sizes, thickness can be supplied on customer request. 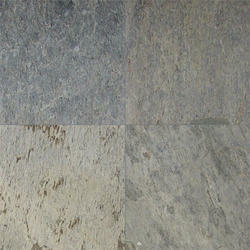 Indian Autumn Slate Stone Tiles is a slate from southern part of India. It comes in two different variations:Indian Autumn, Indian Autumn Rustic.Indian Autumn Slate is a soft slate stone which is available in small size tiles & crazy pavings. It can be used in applications like Paving, Patios, Wall Cladding in various forms like Tiles, Ledgestones, Strips, crazy paving.Bagayat Enterprises is one of the leading exporter of Indian Autumn Slate Stone from India. In the series of our products, we offer a wide range of Golden Slate Tile to meet the demands of our clients. These have been manufactured to resist corrosion and start without a delay. These are flawless in their appearance. All these products are available in eye-catching patterns and unique designs. We are a highly acclaimed company that offers a wide range of Deoli Green Slate Tile to meet the demands of our customers. All these tiles are available in eye-pleasing patterns and elegant designs. 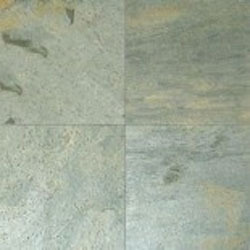 Deoli Green Slate is used as Tiles, Flooring, Slab, and Counter tops & many interior & exterior applications. It is also known as Deoli Green Quartzite & Golden Green Quartzite. 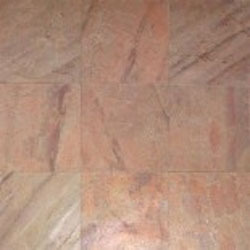 As we are considered a leading firm, we offer a wide range of Multi Pink Slate Tile to meet the demands of our clients. 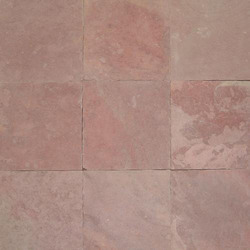 Multi Pink Slate is a beautiful multicolor slate having pink shades from south India. It is extremely popular & suitable for all kind of interior & exterior applications due to extremely low water absorption index, less than 0.4%, which makes it resistant to frost damage, slip resistant & chemical weathering. It is used in Paving, Patios, and Wall Cladding in various forms like Tiles, Ledge stones, Strips, crazy paving. 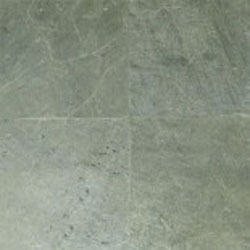 Silver Shine Slate Stone Tiles is also known as Silver Shine Quartzite. This stone is being used in form of flooring, wall cladding, counter tops, paving etc.Same as other In Slate Quartzite stone, Silver Shine slate can be polished & brushed also due to its hardness. 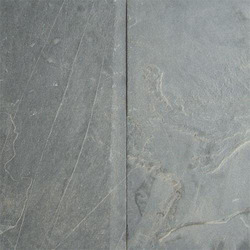 It is also known as Jak Black Slate Stone Tiles which is famous for its appearance.Jack Black Slate is a soft slate stone which is available in small size tiles & crazy pavings. It can be used in applications like Paving, Patios, Wall Cladding in various forms like Tiles, Ledgestones, Strips, crazy paving. 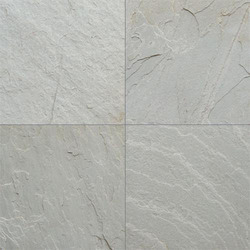 White Slate Quartzite Tiles is also known as Himachal White Quartzite. Himachal White Slate is a hard slate stone which is stain & crack resistant & also resistant to chemical weathering. Available in small size tiles & crazy pavings, it can be used in applications like Paving, Patios, Wall Cladding in various forms like Tiles, Ledgestones, Strips, crazy pavings etc. 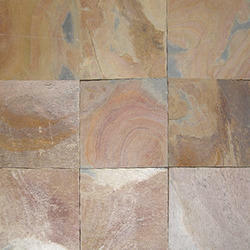 Multicolor Slate Stone Tiles is a slate from south India with vibrant colors & rustic look. It is also known as Multicolor Peacock slate.This slate is also slip resistant & resistant to chemical weathering. It is being used in all kind of interior & exterior applications specialy for flooring. 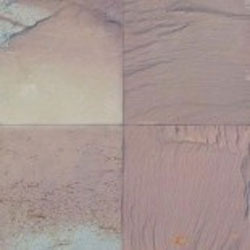 It is also popular for other applications like Paving, Patios, Wall Cladding in various forms like Tiles, Ledgestones, Strips, crazy paving.Find the reliable supply services of Indian Multicolor Slate Stone at reliable prices only at Bagayat Enterprises. Kund Multicolor Slate Stone Tiles is a variation of Multicolor Slate with much rustic & vivacious look and feel.Unlike Jak Multicolor Slate, Kund Multicolor slate is a soft slate stone which is available in small size tiles & crazy pavings. It can be used in applications like Paving, Patios, Wall Cladding in various forms like Tiles, Ledge stones, Strips, crazy paving. California Gold Slate Stone Tiles is a beautiful slate stone extracted from south India.This slate has an extremely low water absorption index, less than 0.4%, which makes it resistant to frost damage, slip resistant & chemical weathering.It is extremely popular & suitable for all kind of interior & exterior applications like Paving, Patios, Wall Cladding in various forms like Tiles, Ledge stones, Strips, crazy paving. 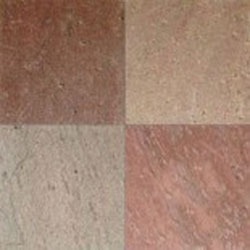 Like all other slate stones, Terra Red Slate Stone Tiles is slip resistant & resistant to chemical weathering.Indian Slates are particularly suitable in all kind of interior & exterior applications as it has an extremely low water absorption index, less than 0.4%, which makes it resistant to frost damage. It is also popular for other applications like Paving, Patios, Wall Cladding in various forms like Tiles, Ledge stones, Strips, crazy paving. Raja Red Slate Stone Tiles is the name of a beautiful slate having variation from light pink to dark red color from south India.Like the all other Indian slates, Raja Red slate also have extremely low water absorption which makes it resistant to slip, chemical weathering & frost damage. It is extremely popular & suitable for all kind of interior & exterior applications like Paving, Patios, Wall Cladding in various forms like Tiles, Ledgestones, Strips, crazy paving. M Green Slate Stone Tiles is being extracted from the Macherla district in Andhra Pradesh hence it is known to its name also as Macherla Green slate.This slate is resistant to stain & crack and can be used in all kind of interior & exterior applications. 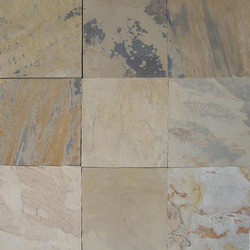 It is popular for Paving, Patios, Wall Cladding in various forms like Tiles, Ledgestones, Strips, crazy paving. N Green Slate Stone Tiles is another green slate which is extracted from South India.It is also called as Nag Green slate.This slate is also resistant to stain & crack and can be used in all kind of interior & exterior applications. It is popular for Paving, Patios, Wall Cladding in various forms like Tiles, Ledgestones, Strips, crazy paving. With the years of experience and expertise, we are engaged in offering a wide range of Zeera Green Slate Tile to fulfill the demands of our customers. The complete range of our products is made up of high quality base material sourced from reliable dealers of the industry. 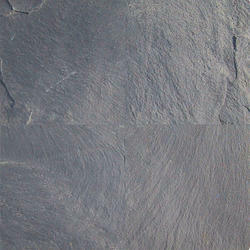 Zeera Green Slate is stain and scratch resistant & can be used for applications like Paving, Patios and wall cladding. Being a well known firm, we are engaged in offering a wide range of Chocolate Slate Tileto meet the demands of our customers. Chocolate is being extracted from southern part of India. It is also known as Burgundy Slate. 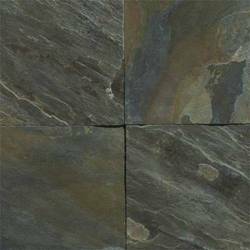 All these products are available in eye-catchy patterns and are highly demanded by our customers.It is a dark brown colored Slate stone which is available in various formats. It can be used in applications like Paving, Patios, and Wall Cladding in various forms like Tiles, Ledge stones, Strips, crazy paving. 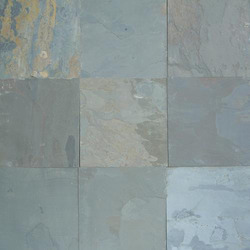 Our company is offering a wide range of Jak Multi Slate Tile to meet the needs of our customers. It is a variation of Jak Black Slate with much rustic & vivacious look and feel. 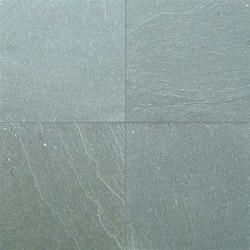 Unlike, Jak Black, Jak Multicolor Slate is also a soft slate stone which is available in small size tiles & crazy paving. It can be used in applications like Paving, Patios, Wall Cladding in various forms like Tiles, Ledge stones, Strips, crazy paving. For the miscellaneous requirements of our clients, we are offering a wide range of Copper Slate Tile all over the world. All these tiles are available in eye-pleasing patterns. It is also known as Copper Quartzite. It is the most famous slate stone for applications like Paving, Patios, and Wall Cladding in various forms like Tiles, Ledge stones, Strips. 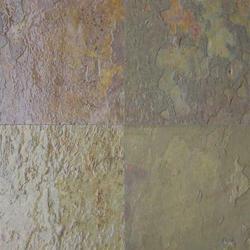 Due to its rustic look, copper Quartzite is also being used for flooring, wall cladding, countertops, paving etc. 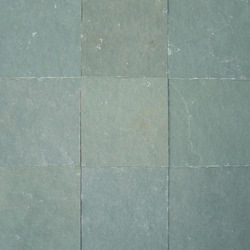 We are a highly acclaimed company that offers a wide range of Ocean Green Slate Tile to meet the demands of our customers. It is also known as Ocean Green Quartzite. These tiles are known for their durability and strength. We are offering these products at affordable rates. Like the other Indian Quartzite Stones, Ocean Green Slate is stain and scratch resistant & can be used for applications like Paving, Patios, and Wall Cladding in various forms like Tiles, Ledge stones, Strips. 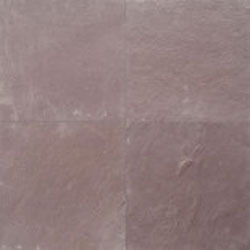 According to the needs and demands of our clients, we are offering a wide range of Lilac Slate Tile. 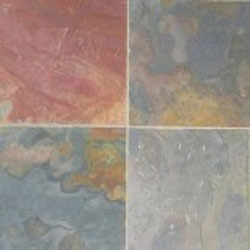 These tiles are highly durable and offer long lasting shine. 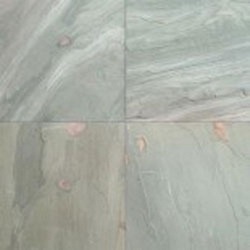 Lilac Slate is the name of a beautiful slate from south India which is extremely popular & suitable for all kind of interior & exterior applications like Paving, Patios, and Wall Cladding in various forms like Tiles, Ledge stones, Strips, crazy paving. Like the all other Indian slates, Lilac slate also has extremely low water absorption which makes it resistant to slip, chemical weathering & frost damage. 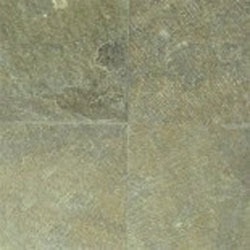 Find the good quality Indian Lilac Slate Stone at reliable prices only at Bagayat Enterprises. 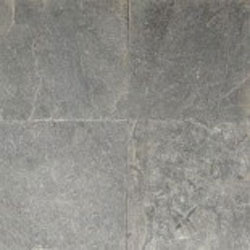 To fulfill the needs and demands, we are offering a wide range of Silver Grey Slate Tile. These tiles are easy to install and can be washed as and when required. It is also known as Silver Grey Quartzite. This stone is being used in form of flooring, wall cladding, countertops, paving etc.Due to its hardness, Silver Grey Slate can be polished & brushed.